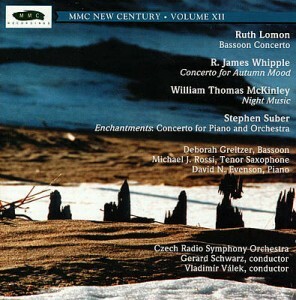 While the following CDs don’t feature the Winds, they showcase music by composers in or affiliated with the ensemble. R. James Whipple is the Winds’ artistic director. His Concertino for an Autumn Mood, Op. 14, written between 1972 and 1976, received a number of American performances before being recorded by the Czech Radio Orchestra under the direction of Gerard Schwarz. The bassoon soloist was Deborah Greitzer. This was released on the MMC label, whose catalog was recently purchased by Parma Recordings which is allowing this disc to go out of print. Get your copy now! 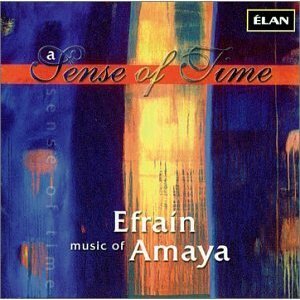 Venezuelan-born composer Efraín Amaya has been associated with the Winds for a decade and a half. Just before our collaboration began, Élan Recordings released this CD of many of his early works, which includes some real gems.